Several studies have indicated the need for personalising gamified systems to users’ personalities. 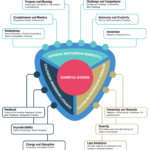 However, mapping user personality onto design elements is difficult. 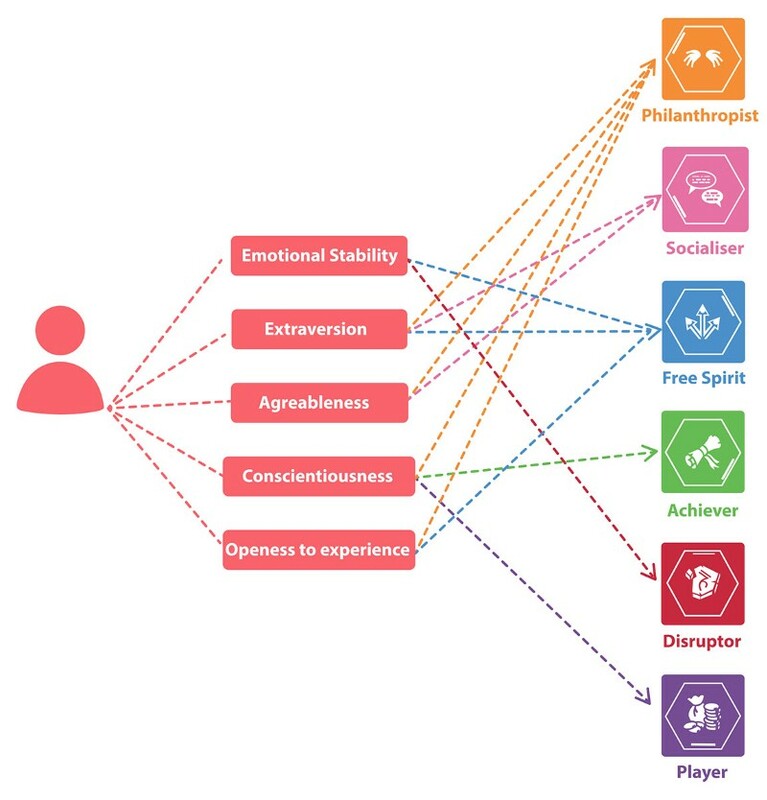 To address this problem, Marczewski developed the Gamification User Types Hexad framework, based on research on human motivation, player types, and practical design experience. 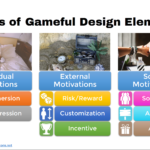 He also suggested different game design elements that may support different user types. However, until now we were still lacking a standard assessment tool for user’s preferences based on the Hexad framework. There was also no empirical validation, yet, that associated Hexad user types and game design elements. A collaborative research project by the HCI Games Group, the Austrian Institute of Technology, and Gamified UK sought to accomplish these two goals: (1) create and validate a standard survey to assess an individual’s Hexad user type and (2) verify the association between the Hexad user types and the game design elements they are supposed to appeal to. 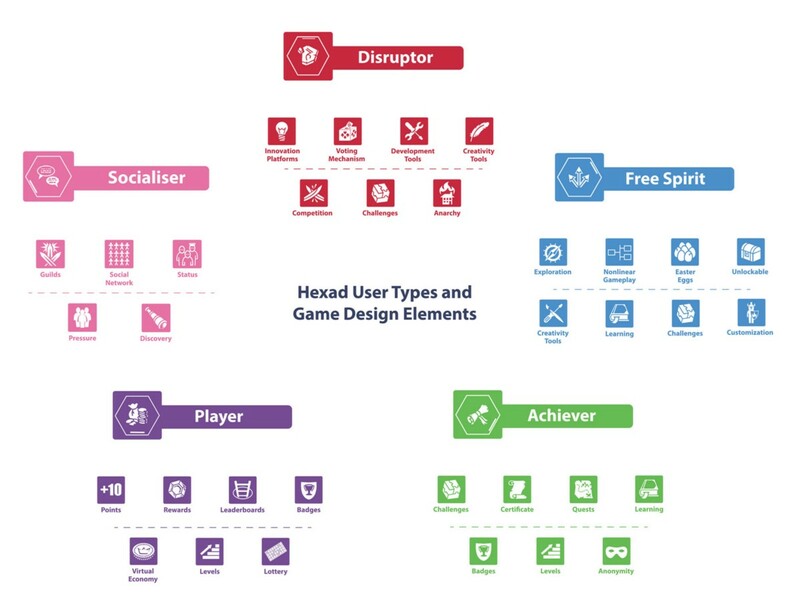 In case you are not familiar with the Hexad user types yet, please take a moment to watch this video or read the user types’ descriptions at Gamified UK. Our research developed and validated a 24-item survey to assess an individual’s Hexad user type. Would you like to know your user type? Why don’t you take a minute to take the online survey at Gamified UK? 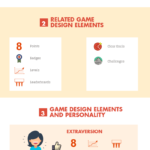 We asked participants to rate how much they enjoy several game design elements and compared the answers with their Hexad user type to find out which game design elements are preferred by each user type. The following infographic summarises the results. Using the Hexad user types framework and the survey is more effective than asking users about design elements directly because the survey’s goal is to understand more about user psychology in a gamified context rather than just determining game elements they prefer. Furthermore, users are not necessarily gamers and might not be aware of their game preferences or be familiar with game design vocabulary. Therefore, our survey aims to use a common vocabulary. There are several ways to use the Hexad model to personalise gameful applications. For example, designers would be able to screen their target audience using the suggested survey and choose the adequate design elements for each user. In research, the survey can be used to better understand user engagement and enjoyment in studies regarding gameful applications. If you wish to use the Hexad user types survey, please read the original publication to be presented at CHI PLAY 2016, which contains details about the validation study and the survey items. Use of the scale is free for academic purposes. For commercial uses, please contact us. Originally published by the HCI Games Group. Infographics by Marim Ganaba.